It is no longer a piece of news that Chelsea has been hit with a transfer ban by FIFA while also being fined a sum of £460,000 over 19 breaches involving article 19 (which relates to the transfer of players under the age of 18). The ban is expected to last for two windows, which means the London club would be unable to register new players, although they are at liberty to sell. Clubs like Barcelona, Real Madrid and Atletico Madrid have faced similar consequences in the past, while there are also indications that Manchester City might soon follow suit. 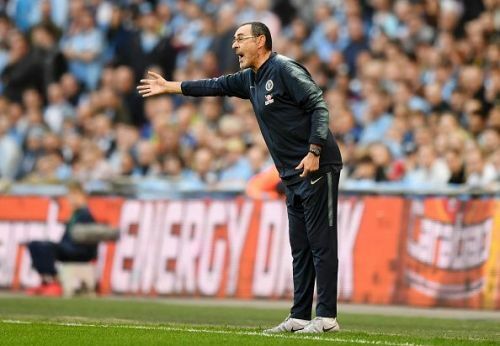 Chelsea has indicated that they would be appealing the decision as they believe they have not done anything wrong, although, pending the outcome of their appeal, the ban is likely to still stand. The fact that Chelsea would not be able to buy new players would have a massive impact on their transfer activities, as they might be less likely to sell off players due to their inability to replace them. However, the ban does not cover players who are out on loan, as technically, they are already registered as Chelsea players. The Blues have one of the most highly acclaimed academies in the world, with their youth side winning the first two editions of the UEFA Youth League, while also performing impressively well consistently in the U21 Premier League. Nevertheless, for all the brilliance of the youth sides, it remains an uphill task to break into the first team, with the club preferring to send them out on loan in a bid to garner more first-team experience. Chelsea currently has an incredulous number of 41 players out on loan at various clubs and it might be this set of rejected stones that the next proverbial cornerstone could be found for the club in these trying times. Following the ban on registering players, Chelsea might need to look inwards (outwards) for the solution to their quagmire. In this piece, we shall be taking a look at seven players currently on loan who could help limit the impact of the transfer ban on Chelsea. Mount has been a part of Chelsea since 2005 when he joined the side's academy as a 6-year-old. He then progressed through the ranks but suffered the fate of his fellow youth team prospects by undergoing a loan transfer to Dutch side Vitesse in 2017. 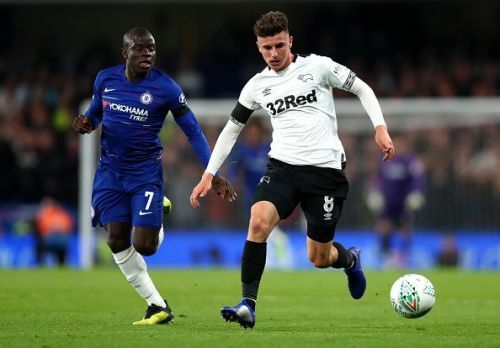 The midfielder impressed significantly in the Eredivisie where he made 29 appearances and scored nine goals, which led to former Chelsea great and current Derby manager Frank Lampard requesting for his services. So far in the Championship, he has starred in 24 matches, scoring four goals and creating two assists. His displays have earned him praise from both Frank Lampard and Gianfranco Zola, while he was also called up to the England national team in October 2018. Transfer Ban- A Blessing in Disguise for Chelsea?